Looking to buy and sell your Dynamic and Risk Weighted Investments, aka Darwins, while on the go? U.K.-based broker and asset manager Darwinex today unveiled its mobile app for Android. Darwinex App for Investors provides mobile users with the same essential features of Darwin’s online platform, including the ability to buy and sell Darwins, track your portfolio in real-time, as well as check in with other traders on the Darwin Exchange. “Owning all our technology affords us a competitive advantage as we don’t depend on third parties,” Darwinex CEO Juan Colón said. “Our Android app is the first of several upcoming feature launches aimed at fundamentally disrupting today’s retail brokerage industry.” Download the Darwin App for Investors from Google Play. More than a traditional exchange, Darwinex is an online and mobile platform that enables traders to participate in the financial markets and allows investors to invest capital in the strategies of the most successful traders. Darwinex uses a proprietary algorithm to rank strategies, and then lists them as Dynamic and Risk Weighted Investments that can be bought and sold on the Darwin Exchange. Founded in 2012, the company demoed its technology at FinovateSpring 2013 as Tradeslide Ventures. Rebranding as Darwinex in the fall of 2014, Darwinex was named to the FinTech5o in January 2015, and was a finalist in the Benzinga Fintech Awards a few months later. Darwinex announced a set of enhancements to its algorithms to improve VaR simulations and better address the management of swing trades in August. This week, the company announced listing 24 new DARWINS on its exchange. 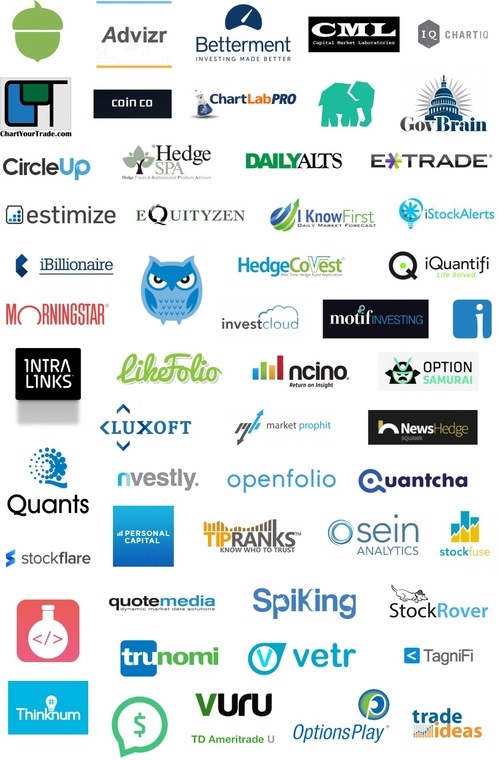 Looking for the most innovative startups in fintech? The FinTech50 is a great place to start. It also turns out to be a great place to find Finovate alums. Of the 50 companies recognized by FinTechCity’s panels of judges as being “game-changers transforming the future of finance,” nearly half are alumni of Finovate conferences – including our upcoming event in London. According to Chris Skinner, who was one of the panelists, more than 700 companies competed for spots in the FinTech50. The selection panel included veterans of finance and technology from companies ranging from American Express and Google to Silicon Valley Bank and UBS. The FinTech50 winners were announced at an invitation-only event in London. Speaking of London, Five Degrees, InvoiceSharing, Ixaris, mBank, and Trunomi will be in town next month, demonstrating their latest solutions at FinovateEurope 2015, February 10 and 11. More information on the event available here.